Join an All-Travel Cruise Specialist on an AMAZING CRUISE! Expires: Apr 20, 2019 Get This Deal! Our Gift To You ! Receive an additional up to 5% of your cruise fare back on an AmEx gift card! 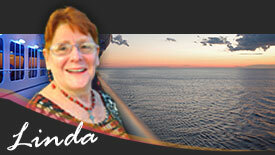 Come and Join All-Travel on a cruise of a lifetime! Whether reveling in the charms of Old-World New England, shopping the colorful and colossal "souk" in Marrakech, visiting majestic cathedrals in Rome or taking in the spectacular beauty of a sunset along Bali's pristine shores, choose to embark on a journey of discovery and wonder aboard the World's Best cruise line and begin your new story unlike any other you've done before. With a myriad of choices from dining to entertainment and everything in between, sailing solo, on your own terms, has never been this good. Book one of these Select Hosted Cruises and join All-Travel Cruise Specialist Vicki, David Laura and Patrick and enjoy limited-time special savings on these hosted sailings such as up to $1,000 off per sailing, kids sail free and up to $500 shipboard credit on select Crystal River and Ocean voyages that sail across the Pacific, the Atlantic, Europe and all the way to Asia. Complimentary select fine wines, champagne and premium spirits. Complimentary gratuities for all dining, bar, housekeeping and Penthouse butler staff. Complimentary evening of specialty restaurant dining at least once in Silk Road or the Sushi Bar celebrating the cuisine of Nobu Matsuhisa, and at least once in Prego. Complimentary enrichment via the innovative Creative Learning Institute and the Computer University@Sea with classes in topics such as world affairs, wine appreciation and iPad filmmaking; free Wi-Fi and Internet access. Complimentary fitness programs with classes in yoga, mat Pilates, Spinning, and so much more! Special Promotions Available on 2019 Crystal Mozart Departures. Choose ONE of the options below. ONE Guided Sightseeing with Private Car and Driver tour (Value - Up to $900 per Couple). Choose from the ports below. ONE Private Car and Driver "At Your Leisure" tour (Value - Up to $850 per Couple). Choose from the ports below. Lisbon - Please click here for the tour descriptions. Barcelona - Please click here for the tour descriptions. Dubrovnik- Please click here for the tour descriptions. Kotor - Please click here for the tour descriptions. Sorrento - Please click here for the tour descriptions. Deluxe suites on select voyages starting at just $2,799 per guest. 2020 World Cruise with Crystal! 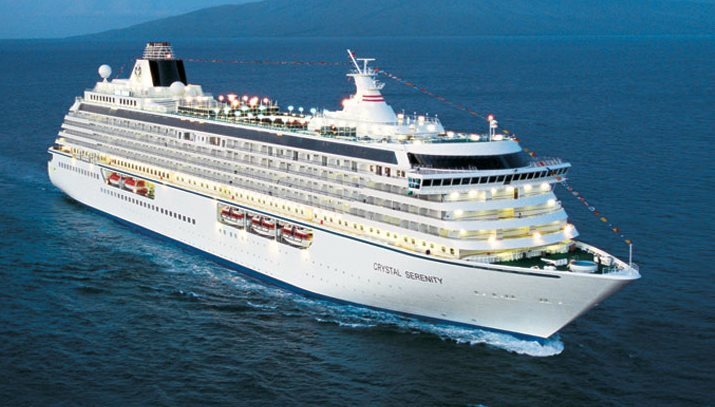 Take advantage of traveling with those you love most with this special program from Crystal Cruises. Crystal 2021 Worldwide River Cruises! Announcing Crystal's 2021 Worldwide Voyages - fares from $2,649! Exclusive Crystal Society Preview - 2021 World Cruise! Information and pricing is subject to change without notice. While we do our very best to ensure that information and pricing appearing in this website is complete and accurate, we cannot be responsible for incomplete and inaccurate representations, which may or may not be under our control. In the event of a pricing error, misrepresentation or omission, we reserve the right to adjust the pricing or make any other corrections.Information and pricing is subject to change without notice. While we do our very best to ensure that information and pricing appearing in this website is complete and accurate, we cannot be responsible for incomplete and inaccurate representations, which may or may not be under our control. In the event of a pricing error, misrepresentation or omission, we reserve the right to adjust the pricing or make any other corrections.